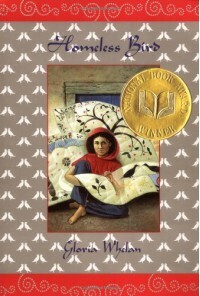 The book I read was "Homeless Bird" by Gloria Whelan. The book was about a thirteen year old girl named Koly who is forced to marry a stranger. Her parents think she is old enough to get married in her country. In this book Koly has to go through many things. Koly gets abandoned, she doesn't have any shelter, she doesn't have food and cant find a job. Koly is far away from her country and has no idea where she is. This book connects to many other people because there are many countries where young girls have to get marry at young ages. They get sent away, they cant get an education because they have to take care of their "husbands". Many girls are forced to marry strangers, they have never met them and they don't know anything about them. I would recommend this book to whoever is interested in reading about problems around the world. I would also like to recommend this book to whoever would like to know how young females feel like when they are forced to do something. To see how many things they have to go through.